On October 14, 2017, My dad was in a single car accident in Montgomery, AL and he suffered a spinal cord injury that left him paralyzed from the chest down. Since then, we’ve spent 11 days in an ICU in Montgomery, three months at the Shepherd Center in Atlanta and three months (and counting) at the James A. Haley Veterans' Hospital SCI Center in Tampa. I’ve chosen to step away from my career in order to stay by my father’s side. Thank you to NPF for the financial assistance required to travel back and forth from the various hospitals to our home in Pensacola. I am extremely grateful I learned about NPF and appreciate all they do for SCI families in need. This foundation has been a huge blessing! They call to check-in on us and always offer great first-hand advice. Our family cannot thank you enough! Thank you to New Perspective Foundation! Without your kindness, I really don't know how we could have made it! You and your staff have been amazing in helping us with our travels to and from the Shepherd Center. The Lord will bless y'all for the help your company does for those in need. The financial stress of traveling is one less thing we had to deal with and it would not have been possible without your generosity. We are forever grateful! Thank you so much for what you do to help families who are going through these tragic situations! The financial help is so greatly appreciated – As you well know, the costs of this accident are overwhelming. Your generous foundation has blessed us and so many others and we are so grateful for what you do to help families like ours! We are learning daily to keep our focus just on the day before us, as we have no idea what the future looks like for any of us, but mostly for our son. We pray that God will use this tragic accident and all of us for His honor and glory! It’s a tough and hard road, and we are leaning heavily on God for His strength and peace! Thank you again for how New Perspective Foundation has blessed us! May God continue to bless you and your charity! On December 10, 2017 our lives changed forever. Being from Buffalo, New York it was a typical snowy day here. Our children were at a friend’s house playing outside, and our thirteen year old son jumped into the deep snow, hit the ground and suffered a C-5 fracture. After being rushed to the hospital, spending time in surgery and the ICU at O'Shei Children's Hospital in Buffalo, we transferred to the Shepherd Center in Atlanta, where he remaind inpatient for some time. It’s hard for a family to be apart, but when you’re divided by such a distance and under trying circumstances, you just want to be together. We were introduced to the New Perspective Foundation and my wife reached out to apply for help. What a inspirational story behind the foundation and very impactful reading other families‘ testimonials. New Perspective Foundation and made it possible for our family to be together for our son’s 14th birthday and see him take his first unassisted steps. We are forever grateful to the support from New Perspective. 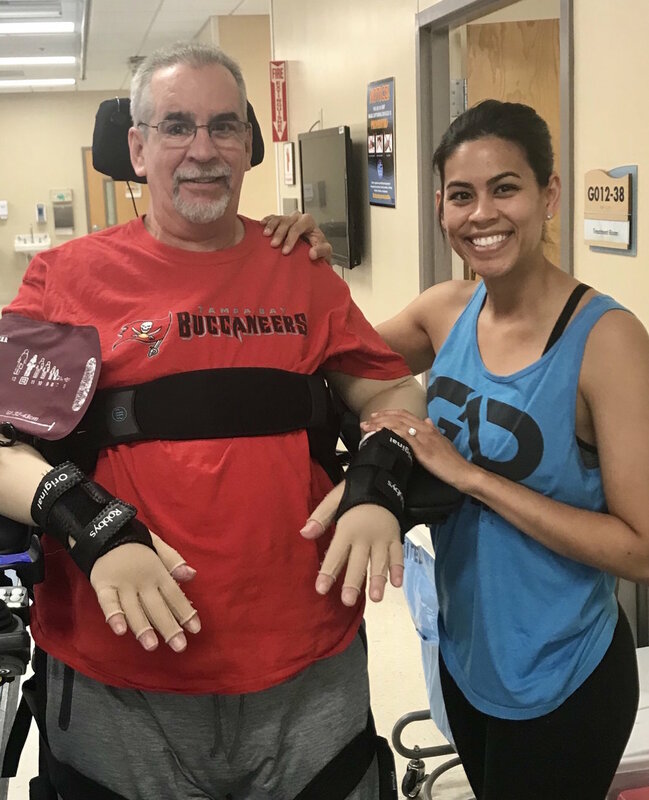 We can’t thank you enough – When Cory‘s accident happened, it was life-changing for him, as well as for us, taking four months from critical care, to rehab, to home. Your generosity was a blessing, although the Shepherd Center allows 30 days to families and their apartments, which is very generous, your foundation paying the hotel expenses when our 30 days was up took away a true burden and worry – that is priceless! Thank you! New Perspective Foundation came into our life at a very difficult time. 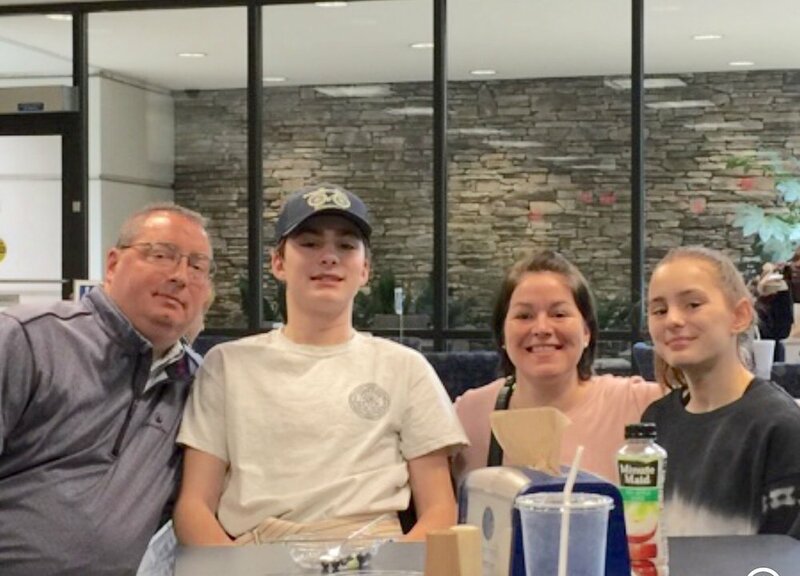 Their generosity and support helped us be able to stay by our son’s side after a life threatening accident, which left him paralyzed and in a hospital for over 3 months. New Perspective has been such a great blessing during these very difficult times. We thank you for all you have done for our family! I received a phone call that would change the lives of our family forever. My son, who lives two hours away in Columbus, Ohio, went on a canoeing trip with my grandson and another friend. They stopped in a shallow area and my son climbed up onto a low hanging tree branch. It broke and a large piece of wood landed on top of him, fracturing his C6 vertebra. The phone call from the ER was heart wrenching when they told me what had happened. You always think traumatic events are supposed to happen to others! My son ended up in several hospitals and a rehab hospital for 3.5 months. Our family has been through a roller coaster ride that we had never wanted. The steps of grief have been very difficult for all of us, but we are all trying to get a grip of the new sense of normalcy. God is the core in our lives, and we thank New Perspective Foundation for the gas cards and help they provided for us. This has really helped with some of our financial burden with all of the driving we have done. Thank you so much for your kindness!